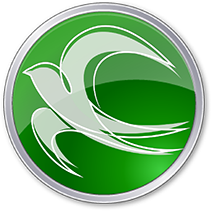 swift is the first VATSIM client that is fully open source - apart from a small library necessary to keep the VATSIM authentication secure. Take a tour through https://dev.swift-project.org if you are interested and contribute bug fixes and features on your own. It is a reality of our hobby that people’s real life commitments prevent them from participating indefinitely. Other clients have suffered for this in the past. The swift team hope that opening their source code will mean that swift can live on long after they are gone, and be truly owned by our community.